DRACONIAN anti-terror legislation that permits employment discrimination to not only ex-political prisoners but also their families saw a British army officer cadet kicked out of the military. The news was passed to the high-performing young woman on the day before she was due to pass out at Sandhurst. 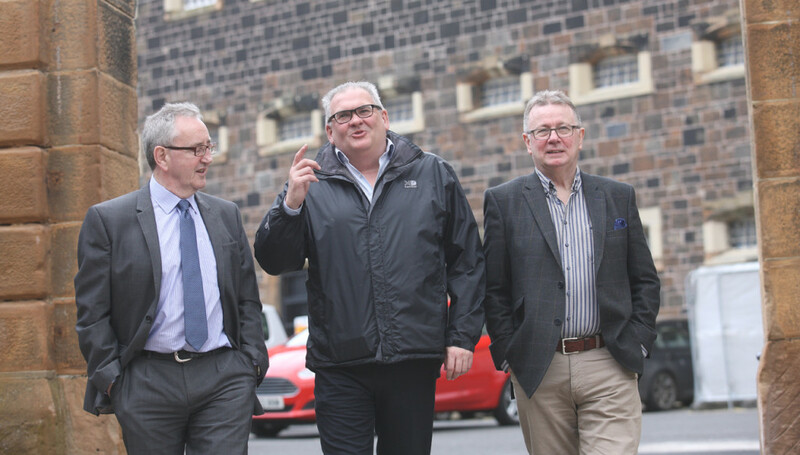 The problems faced by ex-paramilitaries and their families trying to access the labour market were discussed at a conference at Crumlin Road Gaol on Tuesday last where Professor Peter Shirlow said it was an indictment on the peace process that almost twenty years on ex-prisoners and their families were still being discriminated against because of security vetting. He said the story of the female would-be officer was a common one. “Why do we have inter-generational discrimination? Why can someone go to join the British Army and they can’t join because of their grandparent? “The case I refer to is of the loyalist and the niece he had never met. This niece was at Sandhurst and on the last day – she was the top student in her class – she was told she couldn’t join the army because of her uncle who she had never met. “When the conflict had begun and when her uncle was taken to prison, her father had taken the family to England to get away from this. Coiste na n-Iarchimí director Michael Culbert said he believed the British Government was still trying to punish ex-combatants. The conference heard calls for politicians to better represent the needs of ex-combatants to enable society to move on from the Troubles.